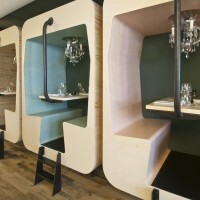 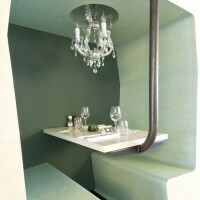 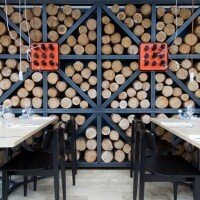 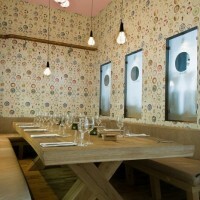 Dutch design studio Tjep, designed some interior elements for the Fabbrica restaurant in Bergen, The Netherlands. 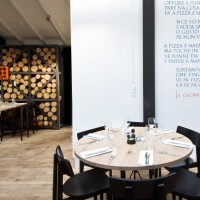 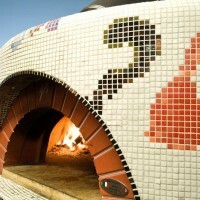 We designed several elements for Restaurant Fabbrica in Bergen: the lovely train cabins with a new look and feel as compared to the ones we made for Fabbrica Rotterdam, a larger Pizza Oven covered with beautiful Bisazza tiles, and the very industrial wood containers that hold all the wood to fuel the oven and all the electricity to fuel the lights! 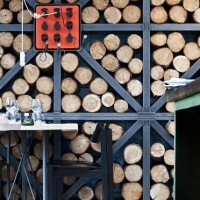 Visit the Tjep website – here.